Explore the World to see where you can make your trip memorable. We are helping travelers to find the Most Attractive/Awesome Places in the world. "Let's find beautiful places, plan trip accordingly." Dubai Miracle Garden is the world’s largest natural flower garden in UAE since 2013, garden located in Dubailand, Dubai, United Arab Emirates. 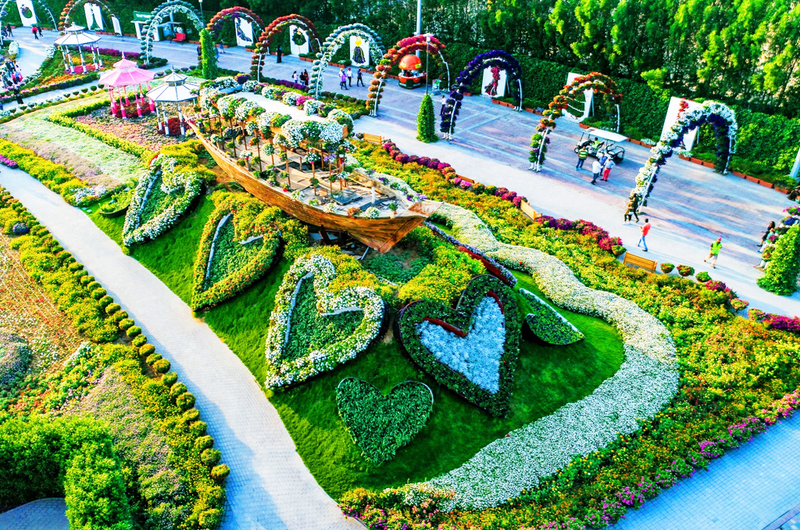 Flower Garden was launched on valentine's day in 2013 and awarded the Moselle Award for New Garden Experiences of the year by the Garden Tourism Award 2015. 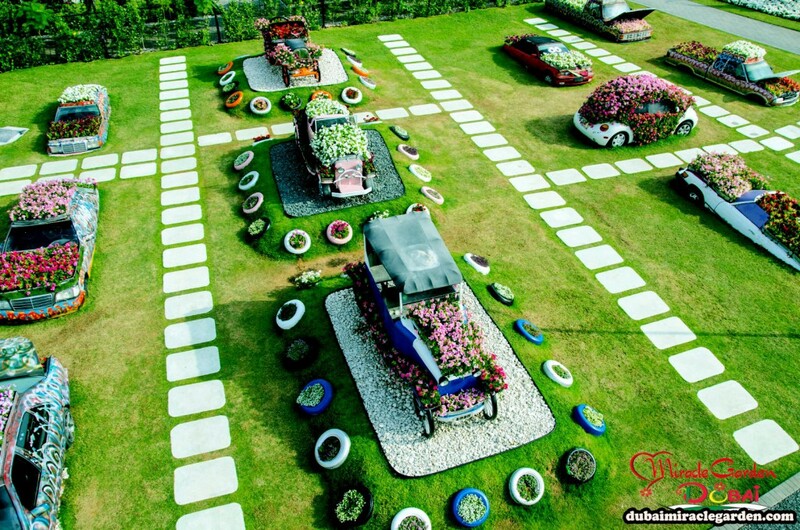 Millions flowers planted in Miracle Garden with many attractive styles which are major part of the tourist attractions. 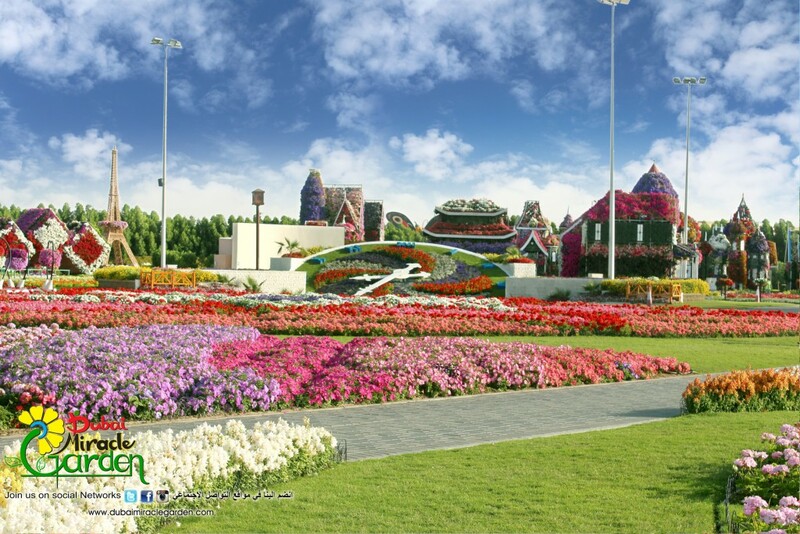 The best considering point is, every season Dubai Miracle Garden change floral structures for giving fresh attraction to visitors. 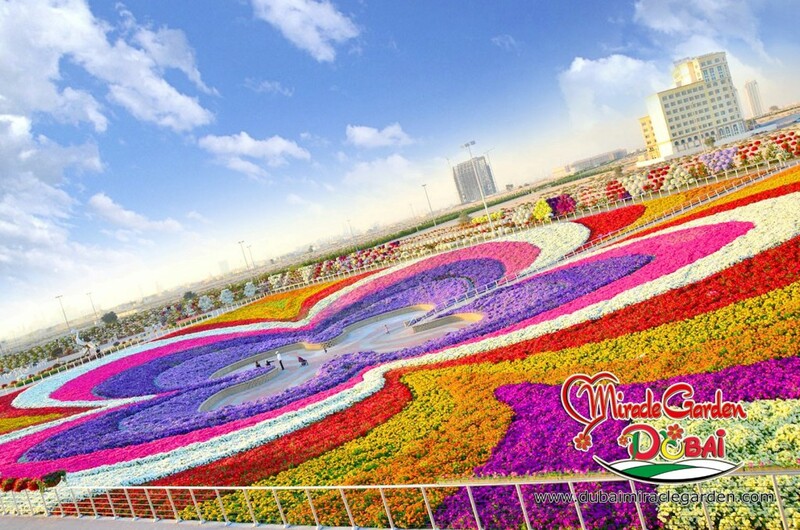 Amazing Panorama view of Dubai Miracle Garden. 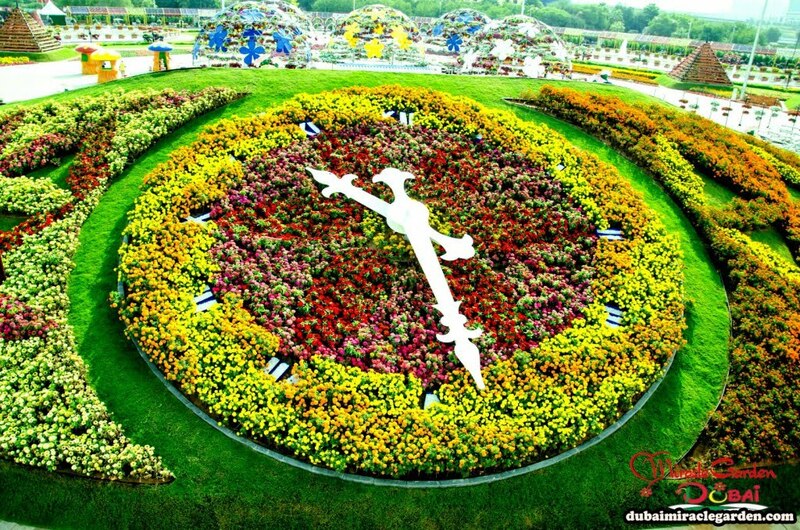 See here beautiful pictures of the Miracle Garden. "After women, flowers are the most lovely thing God has given to the world." Surprising thing is the number of flowers increased 20% compared to last year. Surprising thing is the more than 250 million plants and 50 million flowers are used every season. Surprising thing is hundred plus varieties of flowers. Surprising thing is the total size of the garden 72,000 m2 (780,000 sq ft). Surprising thing is 2,000 cars can be parked in the 60,000-sqm parking lot outside the garden. Surprising thing is the ticket price is very low, Dh 40 for adults; Dh 30 for children aged 12 years and below; free for toddlers aged two years and below. 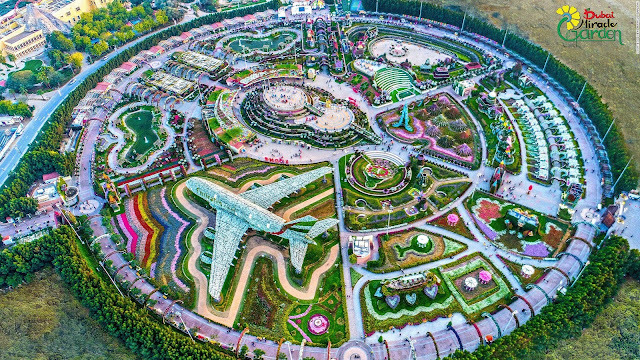 ✈ Emirates Airbus A380 at Dubai Miracle Garden. 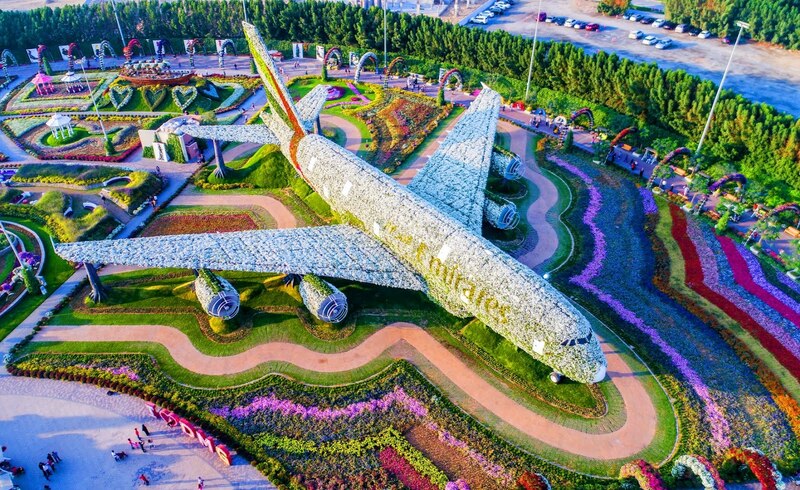 Emirates A380 covered with more-than 5,00,000 fresh flowers and living plants. 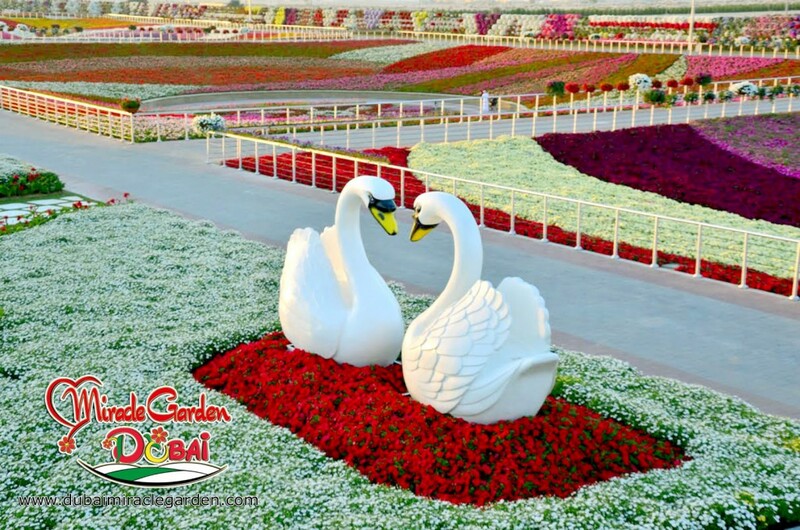 We simply say that get huge floral photography here in Miracle Garden, The most romantic beautiful place in UAE for lovers/ visitors. You already know what a heart-shape ♥ represents? – LOVE. 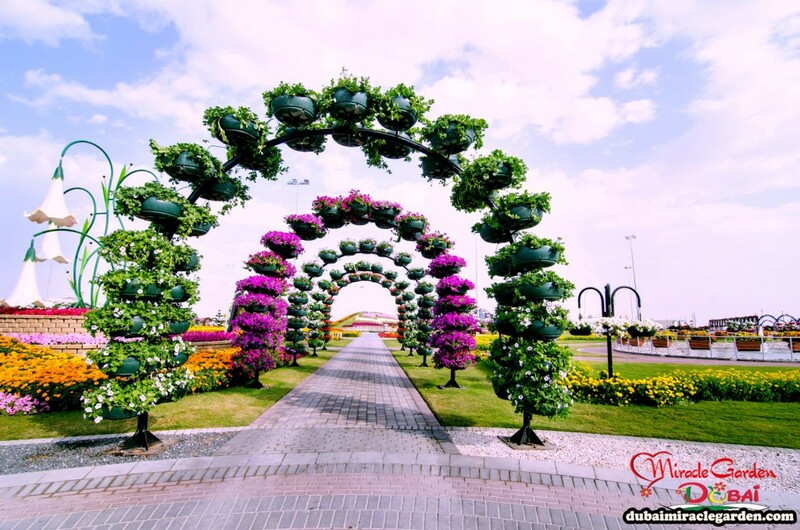 Now, imagine a city full of flowers named Miracle Garden with full of heart-shaped, pink, white and lots of colored flowers. 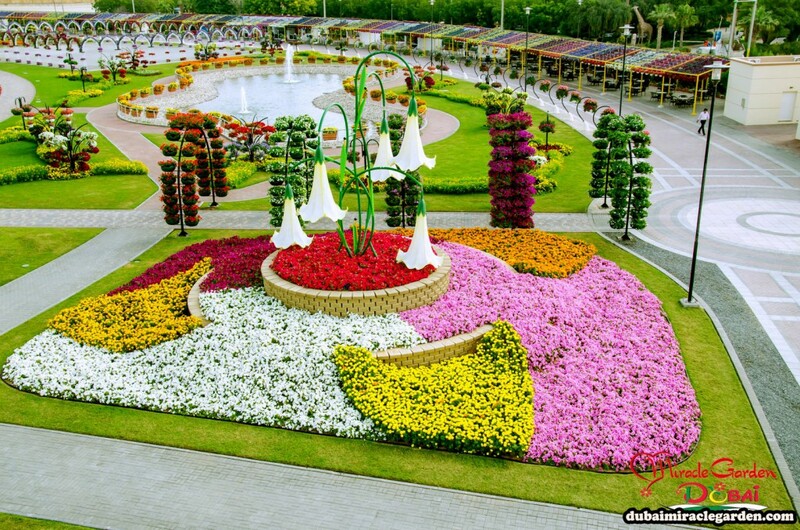 When you visit Flower City in UAE and look closely, you could understand that every flowers have a number of the quality of being the only one (uniqueness) of it's kind. Every single flower in the world has it's own beauty. 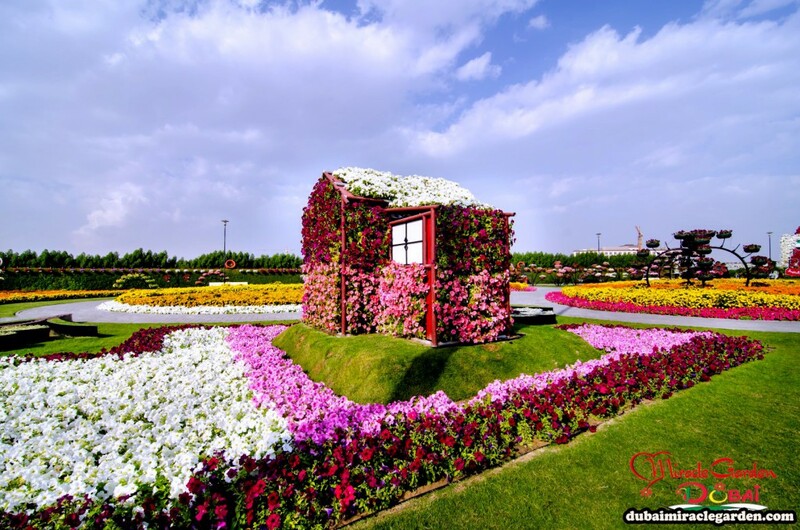 This flower city showing the flower's beauty with lots of fun/romantic ways. 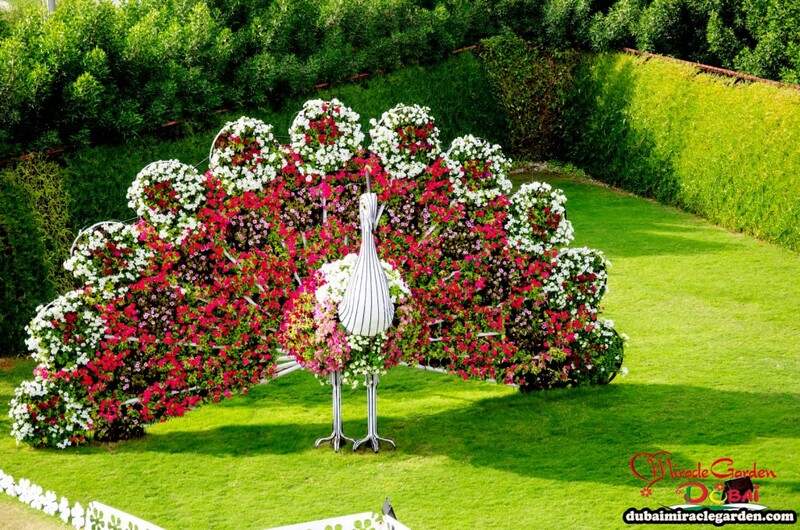 We can say that, when you hear the word "BEAUTIFUL", we are sure the first thing come to your mind is flowers. 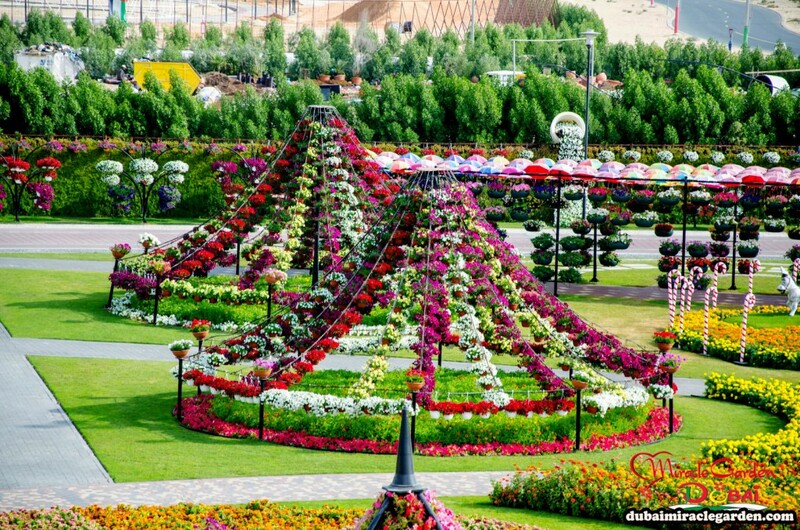 So... when you visit Dubai Miracle Garden you can really see the beauty of flowers presentation and you'd love that. 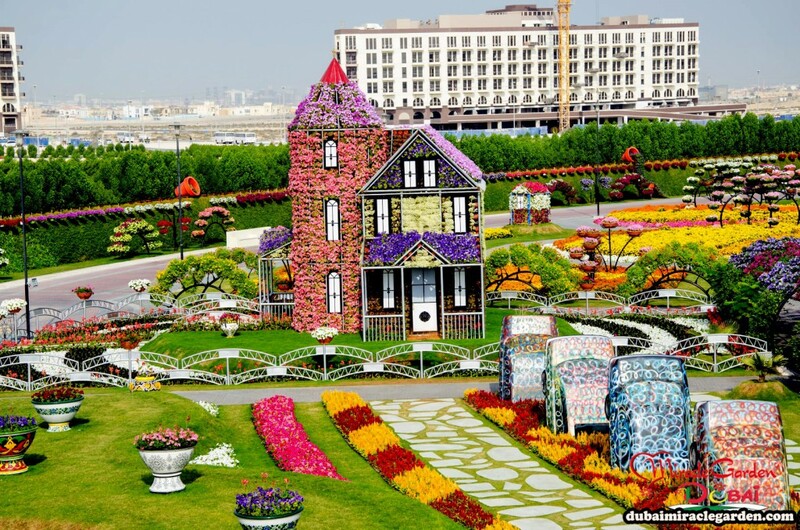 Where is miracle garden located? 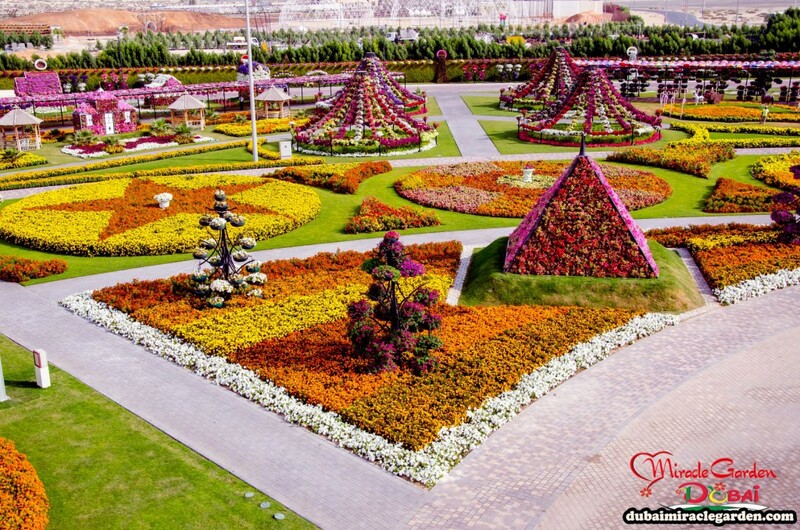 Miracle Garden located in Dubailand, Dubai, United Arab Emirates. 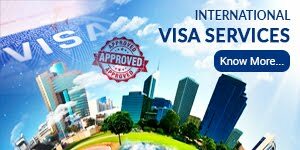 Regal Tours Worldwide helps you to get all kind of visas with fastest & easiest procedures. Managed by Muhammad Bilal Mukhtar. Simple theme. Theme images by gaffera. Powered by Blogger.